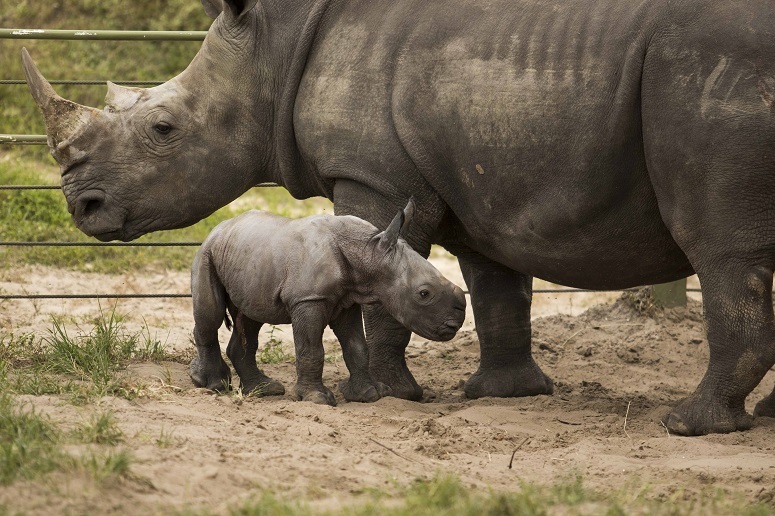 Busch Gardens Tampa is asking fans to help name the park’s newest addition – a female southern white rhinoceros calf born the afternoon of October 16. The park’s animal care staff selected their top three names for the calf, all of which are Swahili, including: Nyota (which means “star”), Nadra, (which means “rare”), or Alasiri (meaning “afternoon”). The park is giving everyone a chance to vote by simply logging on to the Busch Gardens Tampa Facebook page. The poll takes place through November 11. The name chosen will be announced soon thereafter. 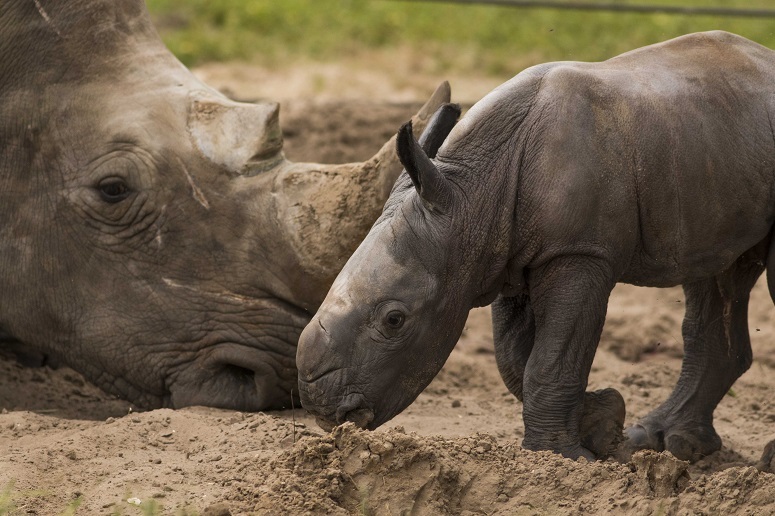 Earlier this week, Kasiri and her calf joined the rest of the park’s southern white rhinoceros herd, also known as a crash, on the Serengeti Plain habitat. The calf already is very comfortable with her new surroundings. Guests can catch a glimpse of the pair on a Serengeti Safari tour. Busch Gardens participates in the Association of Zoos and Aquariums’ (AZA) Species Survival Plan (SSP) for southern white rhinoceros. The mission of the SSP is to cooperatively manage specific species populations within AZA-accredited facilities. PHOTO: © 2015 SeaWorld Parks & Entertainment. All Rights Reserved. What happened with the website?